It is often difficult for us to see ourselves from an outside perspective. It is for this reason that sometimes we don’t realize how experiences from our childhood are affecting our adult relationships, and more often than not, affecting them negatively. The most common ways that childhood impacts our adult relationships is via the relationship that we had with our parents growing up. 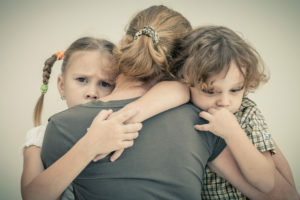 Whether it is trauma that we experience as a child or how our parents showed affection or didn’t, there is no denying that the correlation exists in regards to our adult relationships. To be more specific, how our caregivers act towards us as children carries over into the attachment style that we display in our adult relationships. Generally, people who have grown up in stable homes with happy and healthy childhood relationships with their caregivers develop secure-attachment styles. If your caregivers were emotionally available to you and responsive to your needs as a child then you will likely carry these healthy traits onwards into your adult relationships. Your attachment style will likely be balanced and you will not display clingy tendencies nor push others away. However, not everyone grows up in a healthy and happy home. So, let’s take a closer look at some of the attachment styles that may develop in relation to our childhood experiences. If you grew up with caregivers that showed rejection or were simply dismissive and unresponsive towards your needs, then it is possible that you may have developed an insecure-avoidant or dismissive avoidant attachment style. This leads to an avoidance of close relationships and a tendency to keep people, including partners, at an emotional distance. It is likely that you will have difficulty not only showing emotion but reacting to other people’s emotions as well. Regardless of the tendency to keep others out, often insecure-avoidant people actually desire relationships and even suffer from loneliness. If you suffered from consistent neglect or abuse as a child, it is possible that you will grow up to fear intimacy and fear of being alone. In this case, there is conflict in one’s heart and head about intimacy because of the confusing relationship in their childhood with the person who was supposed to love and care for them but hurt them instead. People who develop this attachment style tend to put up an emotional wall, fear rejection, have difficulty trusting people, and even become uncomfortable with affection. If there is a fluctuation in responsiveness to one’s needs as a child it can lead to a lot of confusion. This person can grow up to be insecure and suffer from a constant fear that people will leave or reject them. Often adults who have developed this attachment style are referred to as “clingy,” or co-dependent. The person will suffer from insecurities in relationships, fear of change in their relationships, and possibly even paranoia. A desire for intimacy will be very prominent and this person may even feel like they are more devoted to their partner then their partner is to them. If your attachment style is taking a toll on you it more than likely also taking a toll on others in your life as well. People with unhealthy attachment styles sometimes don’t realize the impact on their partners. If you think you, your partner, and your relationship are suffering from an unhealthy attachment style, you should consider relationship counseling in Dallas. Although our attachment styles are engrained in us to an extent, there are ways to cope and develop healthier and happier attachment-style characteristics. By speaking with a professional you will be given the chance to address and work through your attachment-style issues and even move past them. If you think you might like to talk to a trusted and experienced Dallas therapist, Lifeworks can help. If you have any questions or would like to schedule an appointment, please don’t hesitate to contact us today.